Need to find something online? Want a place to take the kids Sunday? 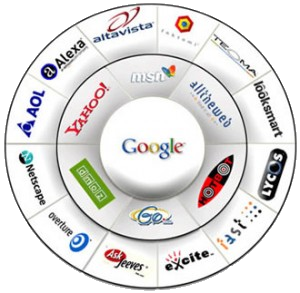 The truth is that there are many popular search engines out there, and your potential clients are using these platforms to look for products and services that address their needs. Whether you are targeting a consumer audience looking for the latest electronics device or a c-level business audience looking for investment advice, chances are their first step is using a search engine. The question is, when they search, do they find you? Search Marketing allows you to turn search engines into lead-generating sales tools. By maximizing company visibility through premium search engine rankings, you can be strategically positioned to drive targeted traffic to your site – increasing incremental sales and building company brand image for your business. OutBoost Media’s online marketing solutions are optimized to drive targeted, qualified visitors to your site to increase leads, customers, revenue and profits. We don’t just track click-through or vague visibility metrics, all our programs are measured on the business metrics that determine sales and profitability. We’re successful when you’re successful. We’re here to be your trusted business partner helping you get the most from your marketing investments and take your marketing performance to a higher level.